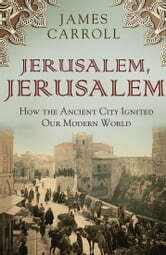 James Carroll’s urgent, masterly Jerusalem, Jerusalem uncovers the ways in which the city became a transcendent fantasy that ignites religious fervour unlike anywhere else on earth. He shows how the conflicts within this holiest of cities underscore an important point of history: that religion and violence fuel each other. In Carroll’s provocative reading of the deep past, the Bible came into being as an act of resistance to the violence that threatened Jerusalem from the start. Tracing the richly intertwined threads of Jewish, Christian, and Muslim history, Carroll illuminates the European fixation on a heavenly Jerusalem as the spark of both anti-Semitism and racist colonial contempt. 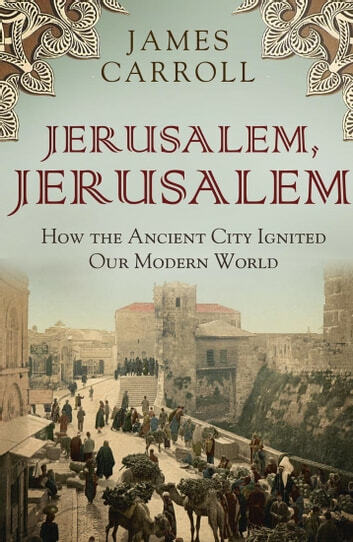 The holy wars of the Knights Templar burned apocalyptic mayhem into the Western mind; now, heavenly Jerusalem defines the American imagination — and always, the earthly city smoulders. Jerusalem fever, inextricably tied to Christian fervour, is the deadly third party to the Arab–Israeli wars. Understanding it is the key that unlocks world history, and gives us our best chance to re-imagine peace. Jerusalem, Jerusalem is essential reading for anyone who wants to understand the current disharmony of modern-day Jerusalem and its historical underpinnings. To the standard set by Constantine’s Sword, here again is a ‘rare book that combines searing passion … with a subject that has affected all our lives’ (Chicago Tribune).